Frisco’s North Platinum Corridor is our urban spine – our backbone, of sorts, for economic development, tourism and entertainment opportunities. Our dynamic, mixed-use developments stretch beyond a single mile. We’re building a community offering unique experiences along our ‘North Platinum Corridor’. This urban spine showcases distinct development districts and our community characteristics vary from our southern to northern borders. We collaborate daily to deliver the best projects and developments that will benefit Frisco taxpayers by helping us keep property taxes low. Frisco city leaders and staff plan patiently and purposefully, designing a sustainable city for future generations. Frisco’s North Platinum Corridor is an important element in that strategy. With Frisco having experienced phenomenal growth during the past 10 years, you can’t help but notice the development taking place on both sides of the tollway as the city develops into a “Live, Work, Play” destination. The popularity of mixed-use developments, big-name tenants moving in, expansion of the Dallas Cowboys Headquarters, and the recent PGA announcement have all contributed toward establishing Frisco as a vibrant, progressive city. Ron Patterson, President of the Frisco Economic Development Corporation, shared with us his thoughts on the growth our city is experiencing. Frisco’s North Platinum Corridor continues to attract a variety of corporate headquarters and relocations from across the nation. Recent relocation announcements along the North Platinum Corridor, such as PGA of America and Keurig Dr Pepper, place Frisco in the national spotlight as a great city for business, as well as being a great place to live. Also, the North Platinum Corridor offers walkable mixed-use environments that feature top tier office space including Frisco Station, The Star, Hall Park, Stonebrook Business Park and others, which are attractive to companies considering a headquarters relocation. Let’s look at the various projects taking root along the backbone of Frisco, some only in their planning stages. We’ll start right at the top in North Frisco and travel south. At the corner of 380 and the Dallas North Tollway, CUT by Cinemark has brought a new concept to Frisco from the Cinemark group. Opened in March 2019, it provides the ultimate ‘dine-in’ movie theatre experience. 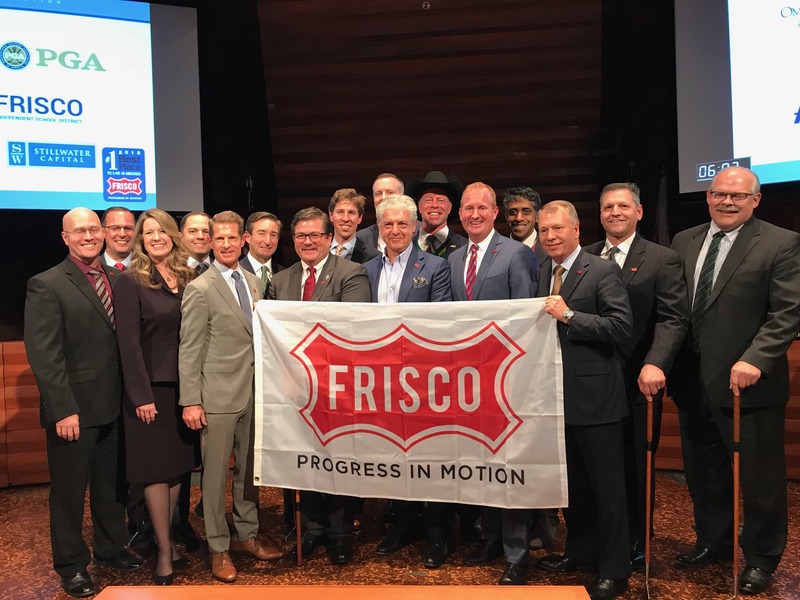 At the beginning of December 2018, in one of the biggest land deals Frisco has experienced, the City Council voted to support the PGA of America relocating their Florida headquarters to Frisco, Texas. Located north of Rockhill Parkway between Legacy and Teel, the course will be built on the former estate of Bert Fields Jr. and anchor a larger development to include a whole host of components. Right next to CUT at 380 and the Dallas North Tollway, the Lesso Mall Development will consist of 78 acres of retail, office, hotel, and urban living residential space divided into 3 sub-districts with green spaces intertwined. Southern District will contain much of the residential component along with more retail and office space. The architecture will have a modern feel, housing unique buildings with smooth finishes, contours, and glazing techniques. Set to open late 2019 this hospital set on 20 acres east of the Dallas North Tollway and Panther Creek Pkwy, featuring the best in primary medical care for Frisco and surrounding area residents. 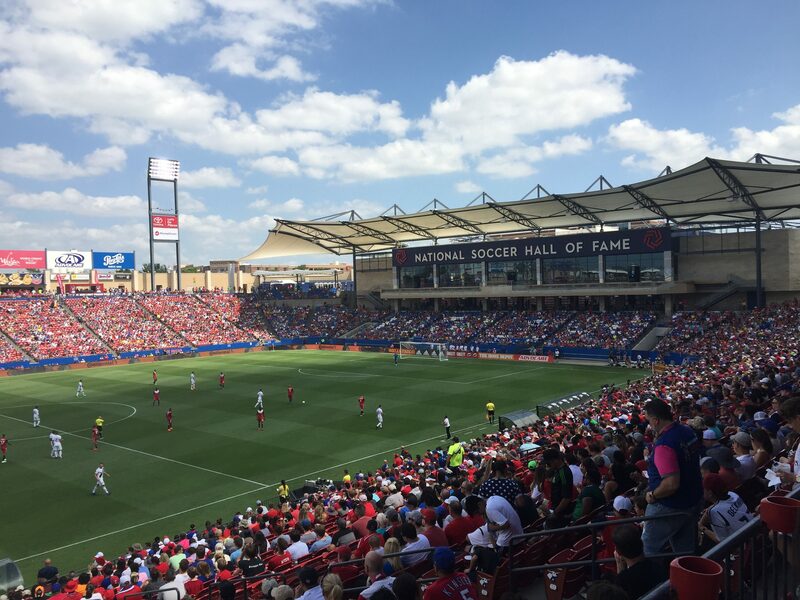 Following a $55 million renovation of Toyota Stadium, the NSHOF officially opened in October 2018 with a spectacular day of ceremony headlined by an Imagine Dragons concert. It stands proud in the heart of Frisco on Main Street just east of the Dallas North Tollway, offering a state-of-the-art experience for beginners and fanatics alike. The NSHOF celebrates players, veterans, and supporters of American Soccer, inviting guests to immerse themselves in the world of this popular sport. Opened in June 2018 Frisco Fresh Market brings you a large open-air market in the heart of Frisco at the corner of Main and Frisco Street. Artisan vendors and fun events with space the whole family can enjoy. Over 90 booth spaces of varying size and layout across 16,000 sq. feet. Spacious storage area including cold storage and industrial-sized freezers. 600+ surface parking spots with convenient handicapped spaces. Combination of office, retail, restaurant, hotel and urban living all built around a central park area. Newman Development bring this project to Frisco on the west side of the tollway just south of Wakeland High School. 32-acre property on the west side of the tollway and north of Main Street will house Lifetime Fitness and will also have retail and office space like what currently exists in the nearby Frisco Market Center. The development will be divided into two sub-districts; Legacy district and the tollway district. Also, in the plans is a Courtyard Hotel by Marriott to be located at the shopping and entertainment district of Frisco Market Center. The property will have 148 rooms and is expected to open late 2019 at Main and the tollway. Medical City Healthcare purchased the foreclosed property on the east side of the Dallas Tollway at Main Street in early 2016. This is a full service 53-bed acute care hospital offering a range of services. It’s also a “green” facility, silver LEED (Leadership in Energy and Environmental Design) certified. Looking to the future construction has started on a 5-story medical office building, with a 4-story garage, just south of this location with plans to complete in late 2019. A 7-acre mixed-use business park located on the west side of the Tollway north of Stonebrook Pkwy. Built on 10 acres at the northeast corner of Lebanon and the Dallas North Tollway, Scottish Rite Children’s Hospital opened in October 2018. It was designed with rainbow colors, beautiful art sculptures, coffee bars, mobile device outlets and comfortable seating throughout to promote a home away from home feeling and take the anxiety out of a typical hospital visit. This 5-story building with over 345,000 sq feet will support the demand for youth sports injury care and rehabilitation in a city labeled ‘Sports City USA’. A unique commercial family entertainment facility on the west side of the Dallas Tollway at McCandless Way, Frisco’s Music City will host concerts, movies, wine festivals, emerging songwriters, fashion shows and theater productions. Approved by Frisco City Council in June 2018, it’s set to break ground later this year. Firmly established as a favorite with Frisco residents and visitors, The Star opened just over two years ago with 91 acres of sports, recreation, and entertainment. The Star hosts live music, events, sports, family festivities, and more. The 12,000-seat Ford Center sits at center it all as a backdrop to a variety of dining options, from upscale to fast casual. Twelve Cowboys Way – 17 story luxury residential tower, Twelve Cowboys Way is a unique partnership between two Pro Football Hall-of-Famers, Cowboys owner Jerry Jones Sr, #12 Roger Staubach, and Dallas-based developer and former Dallas Cowboys center, Robert Shaw. Twelve Cowboys Way is where elite living will meet exclusive access. Promoting a ‘Smart, Creative and Healthy’ lifestyle Frisco Station is well underway on the west side of the tollway between John Hickman and Cowboys Way. AT&T 5G evolution wireless technology throughout the parks, residential, hospitality and corporate spaces. Currently under construction just west of the Dallas Tollway at John Hickman Pkwy, The Gate is a 40-acre master planned development funded by Dubai-based Invest Group Overseas, incorporating retail, office, dining, residential and open green spaces. Announced just last month, the firm Keurig Dr Pepper will relocate their Texas corporate headquarters to Frisco from Plano where it has resided since 1998. This is one of two corporate headquarters; the other is in Burlington Massachusetts. We couldn’t take this journey along the Tollway without including Hall Park. While it’s well established in the Frisco Corporate and business world for a couple of decades now, just recently Craig Hall received approval to include construction of residential buildings. Again, a clever step in the “Live, Work, Play” direction, they’re evolving with demand and attraction for residents to have little or no commute to work, and nightlife at arms’ length. The business park is a 162-acre award winning development located on the west side of the Dallas Tollway at the junction of Gaylord Parkway. 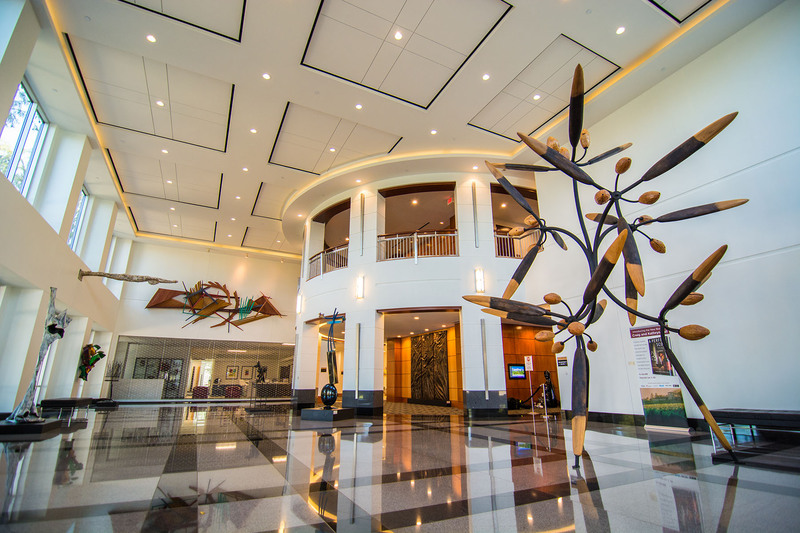 Incorporating office, retail, restaurants, green green space, also adorned with 200 works of art and sculptures, Hall Park has been a staple in Frisco’s business community for over 20 years. Today 10,000 employees work at 17 buildings within the development. Hall Park is also the home of a satellite campus for the University of North Texas. Currently hosting over 1,600 students enrolled in classes for Business, Data Analytics, Psychology, Design, Merchandising, Hospitality, Travel, Sports Management, and many more. Moving forward UNT has plans to open a permanent campus in the northeast quadrant of Frisco, construction of which will begin Spring 2022. An advocate for the arts, Craig Hall has also offered to donate land within the business park to build Frisco’s first Performing Arts Center. Mayor Cheney just recently hosted discussions regarding the plan with the Frisco Independent School District and the University of North Texas as part of a public-private partnership. Just recently approved, this is a mixed-use development to be constructed on the east side of the Dallas Tollway between Dr Pepper Ballpark and IKEA. Designed as an entertainment destination to complement the ballpark, it will consist of offices, a hotel, and retail, plus extensive landscaping across green spaces with a unique sculptural archway entering the 14-acre site. And now you’ve traveled all the way down the North Platinum Corridor to the border of neighboring Plano. Frisco, Texas has reached far beyond the small Railroad town that it used to be to embrace the lifestyle and opportunity that residents want. Meanwhile, we value our roots, evidence of which exists in the Historic Downtown Masterplan and revitalization of The Rail District. Next time you find yourself en route somewhere on the Dallas North Tollway, why not choose the service road, instead, and drop into some of the amazing developments our city has attracted. They’re not just office complexes and hotels, but lifestyle concepts that provide variety to this amazing destination that we call home. Thank you for taking time to compile all this data!